Missed another deadline for submission of materials for school? Skipped a consent form for a school excursion? 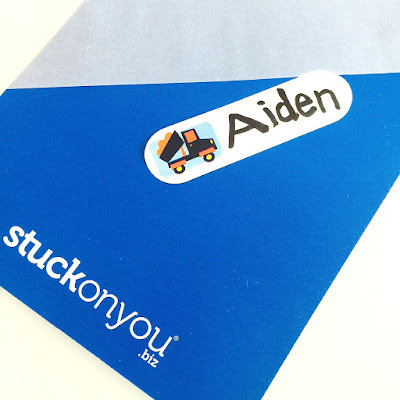 For mummies who are time-pressed as I am, Stuck On You introduced the perfect solution for those last minute labeling needs, in their fabulous designs. I was introduced to the wonderful range of labels from Stuck On You when Aiden started attending playgroup. The brand had such an extensive collection of labels, it blew me away. The only downside of it was, we needed to plan ahead and order two to three weeks ahead for the customized labels to reach us. 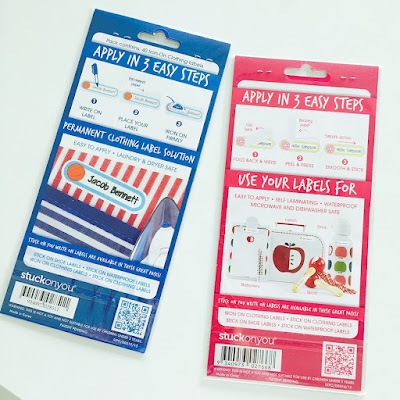 Recognizing the demand for instant labels that are stylish and cool, Stuck On You launched the Write On Iron On Labels, Write On Stick On Labels and Write On Shoe Labels. 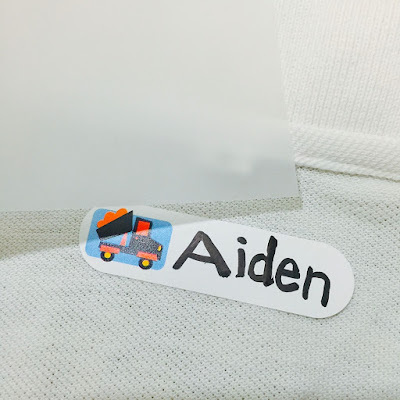 We share our review on the Write On Iron On Labels for Aiden and Write On Stick On Labels for Ava. Ever found yourself in a rush for clothing labels? 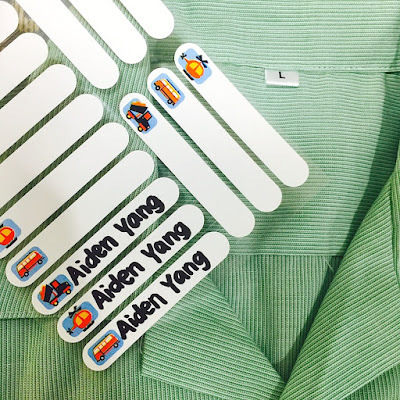 I was reminded a few times by Aiden's teacher that his uniforms needed labeling, but could not find time to get to ordering labels for him. So we were given a deadline to do it by the end of the week, and I was thrilled to discover these instant Write On Iron On Labels. Could not resist the pretty designs for girls, we ordered both the Iron On Labels for Aiden and the Stick On Labels for Ava. Within a week, we received the labels and could not wait to get our hands on them. The attractive packaging makes these labels great gift ideas too. A huge plus for these labels were the convenience and ease of application, in 3 easy steps! 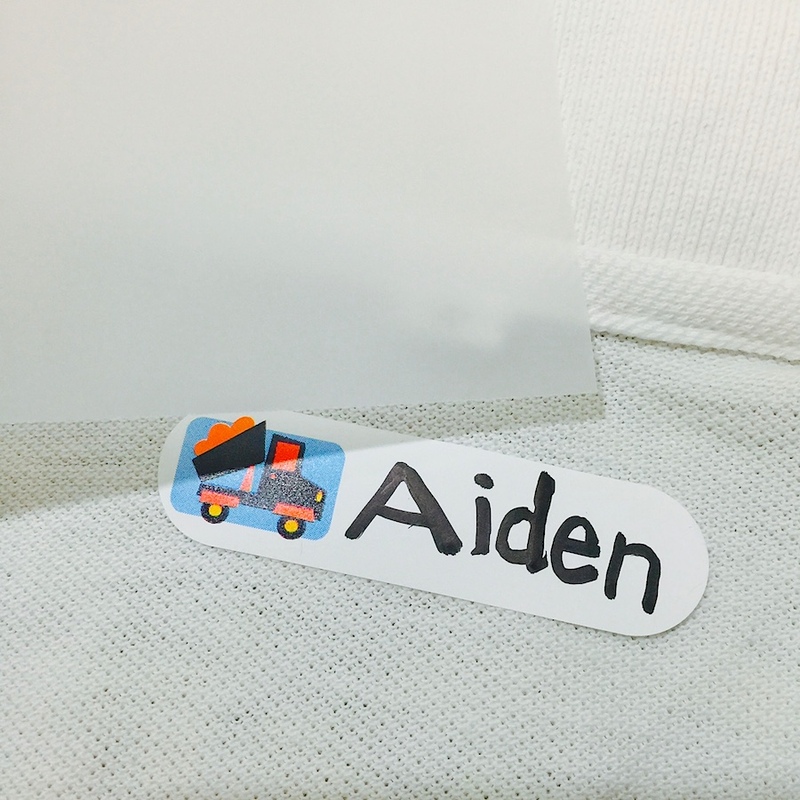 The pack includes 40 iron-on clothing labels (including 15 large labels, 60x16mm, and 25 medium labels, 60x10mm) that are laundry and dryer safe, they are waterproof and very durable. Love the wide variety of designs and prints on this pack of labels, not limiting us to one design. We prepared an ironing board, clothes that needed to be labelled and got down to work. First, we handwrite the name, using permanent marker. Next, we place our label where we want it to be, and laid the parchment paper provided over it. Finally, we ironed it on firmly. We repeated the 3 easy steps for the clothes we needed to label. And we are done! 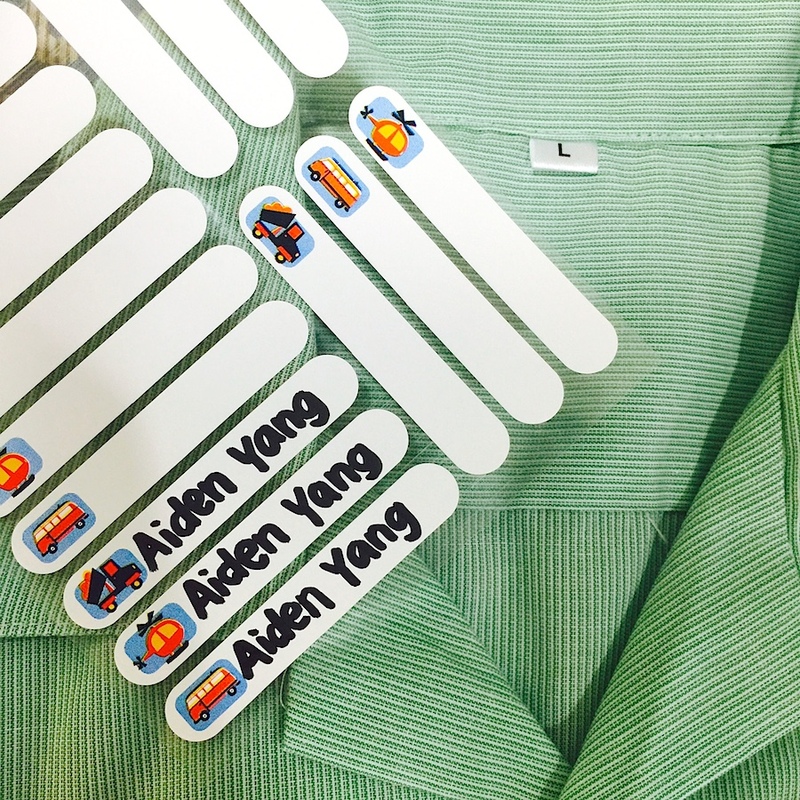 Aiden was thrilled to play a part in labeling his own uniform. 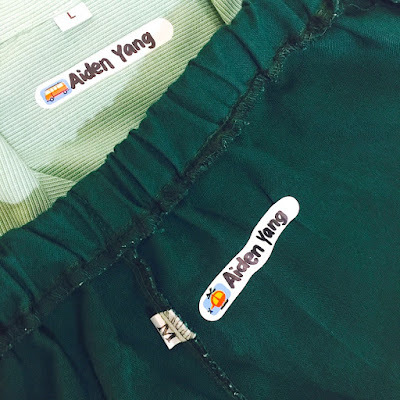 So now, if you need clothing labels in a hurry, you know where you can find them. The easy three step application, Write, Peel, Iron! are the perfect choice to quickly label and apply to your personal belongings. 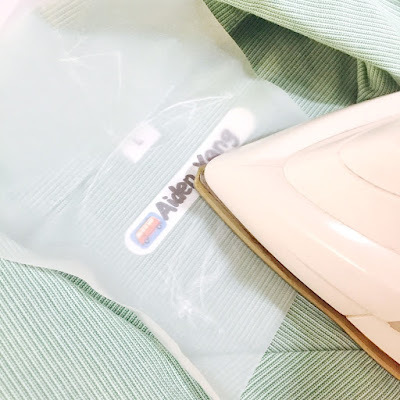 Watch this video on how to apply the iron on labels. 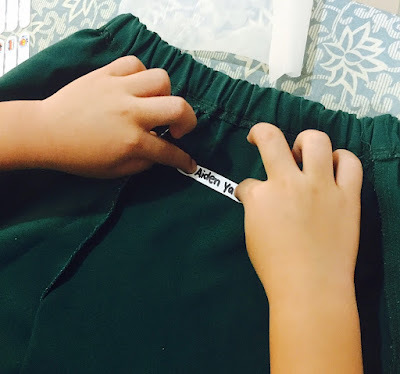 Besides clothing for school, there are water bottles, lunch boxes, milk bottles and many more belongings that need to be labelled. 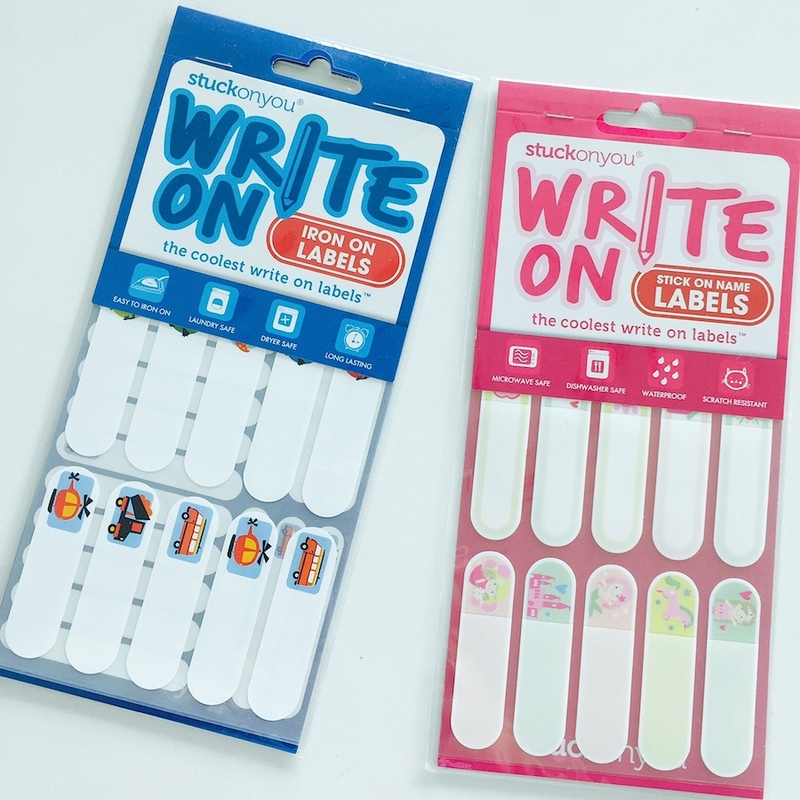 For mummies who love cool labels, try these Stuck On You Write On Labels. It is as simple as write, laminate, peel and label! Look at these icon designs! We had fun teaching Ava to recognize the fruits and name them. We love the icon designs that appeals to the kids as much as ourselves. 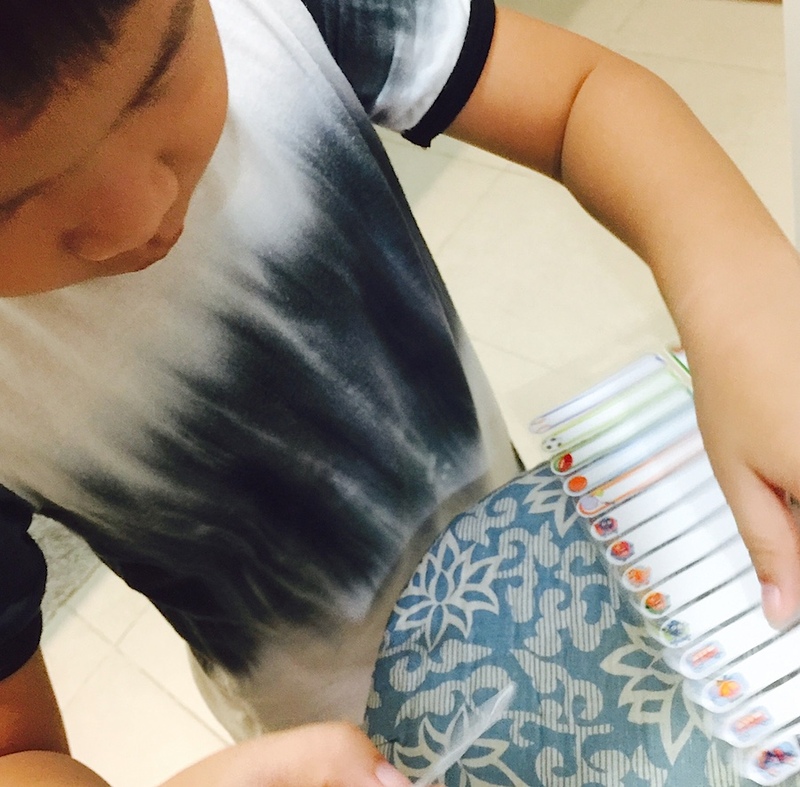 The designs make it easier for the kids to identify their own belongings. 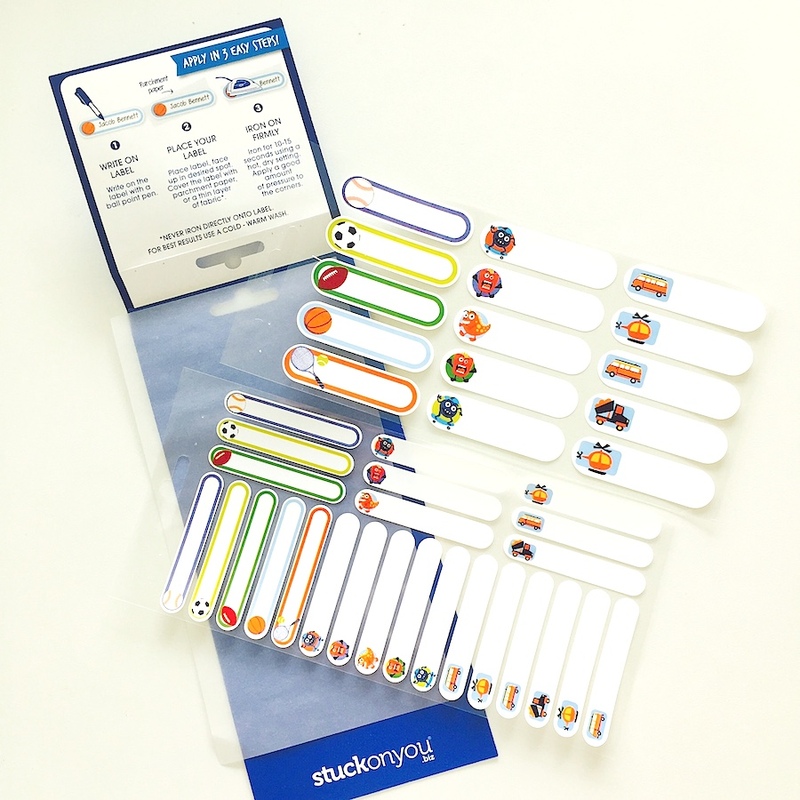 There are 30 labels measuring 60 x 16mm in this pack of Write On Stick On Labels. The labels are microwave and dishwasher safe, making them an ideal label for the water bottles and milk bottles. Watch this video on applying the Write On Stick On Labels. Here is a treat for all of you. 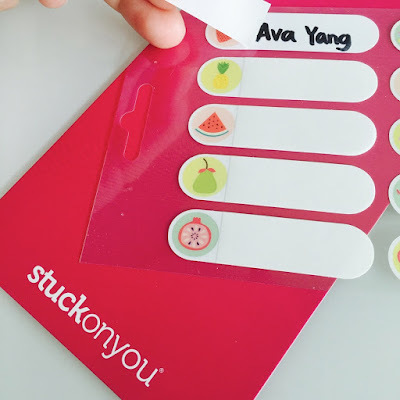 Enjoy 15% off storewide at Stuck On You (excluding value packs) when you key this discount code privikids15GW upon checking out. This is valid till 31 July 2015. Avoid lost property this year with Stuck On You! Disclaimer: This blog post is in collaboration with Stuck on You. All opinions are our own.